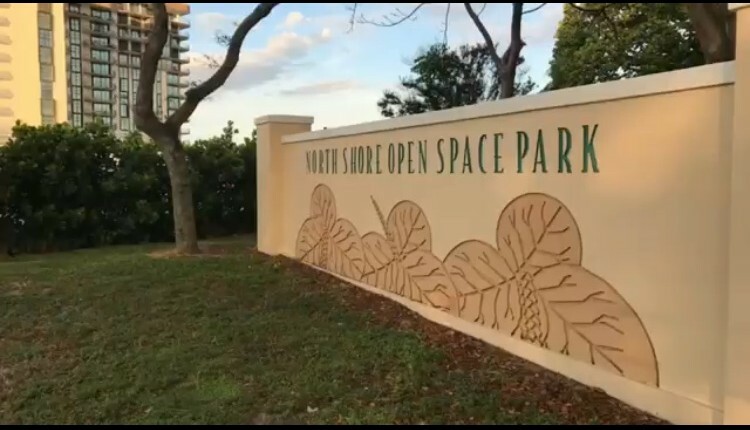 After some controversy and a lot of public input, plans for a redesign of the North Shore Open Space Park are moving forward. A petition erroneously claimed some of the park was being ceded to a developer on the north end of the park. The outcome, though, was vigorous public participation in the design process resulting in adjustments being made to proposed lighting, location of the new playground and type of equipment, and the fencing along Collins Avenue. At the Commission’s Neighborhood and Community Affairs meeting this month, Gianno Feoli, Director of Landscape Urbanism for Calvin, Giordano & Associates, addressed one of the biggest community concerns: the shade canopy. There are more than 3,800 trees in the park now. 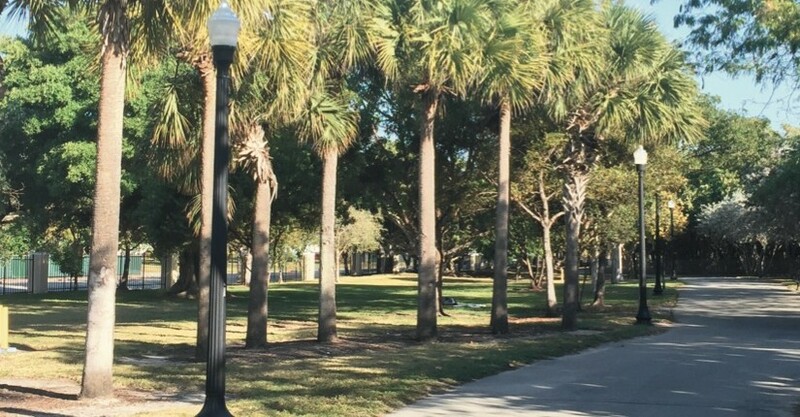 “We are trying very deliberately to locate and orchestrate the alignment of the walkway so that we are not impacting any of the large shade trees that are there,” Feoli said. “By virtue of carving in new walkways, we are going to be impacting trees and we’re looking to impact trees that can easily be replaced with larger canopy trees that will eventually provide a better canopy quality in the overall scheme. In the abstract it’s very easy to say ‘well just shift the walkway over’ but if we shift the walkway over, we’re starting to impact other trees because the entire site is covered with vegetation.” He told the Committee, that while 312 trees will be eliminated, there will be a net gain of 217 “good quality trees including canopy trees” such as live oaks, mahogany and other native trees. Feoli said the intent is to relocate as many trees as possible but that the majority of trees scheduled for removal are sea grapes, which do not transplant well. The overall plan, is to break up the dense areas of sea grapes that are now clustered in the park and spread them out to create more diverse conservation areas (while also providing for better visibility and safety). “Our ultimate plan is to increase their footprint because we see that this is one of the big hallmarks that gives this park a very strong identity,” Feoli said. Revisions were made to continue to use existing lighting in the park while adding turtle-friendly bollard lights along the beachwalk. Based on community input, the proposed location of the playground is being moved from immediately adjacent to a densely wooded area to a clearing allowing for 360-degree visibility and play equipment will be very open. The revised proposal also calls for cutting the current “institutional looking” fence down to two feet, capping it, and planting a hedge to “achieve the barrier that the police want” but which feels open and connected to Collins Avenue, according to Feoli. The plan now goes to the Parks and Recreational Facilities Board for consideration at its meeting next week and to the Design Review Board on March 7th. The Park is located on Collins Avenue between 79th and 87th Streets.